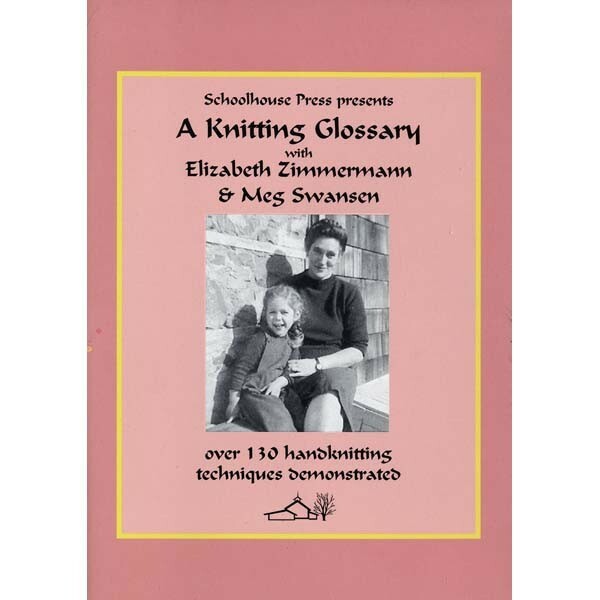 We are pleased to have preserved this extensive collection of knitting techniques from master knitters Elizabeth Zimmermann and Meg Swansen, well over 100 techniques, arranged in 29 video segments to stream at your convenience. Go to any technique by sliding to the time listed on the contents panel. The Glossary includes 13 ways to Cast On, 7 ways to Cast Off, 15 I-Cord variations, Two-color techniques, Entrelac, Bavarian Twisted Stitch, Buttonholes, Two-End Knitting, Steeks (crocheted or machine stitched), Weaving, Afterthought Pockets, Armenian Knitting, Double-Knitting, Jogless knitting, Trapping, Elizabeth's Percentage System (EPS) and much more. Elizabeth's videos were produced in the early 1980s and digitized from the original product; production quality is relative to time period and high-speed Wi-Fi is necessary for the best streaming quality. Media player quality and web browser can affect the overall streaming quality. DVD also available.